Kyle Mack's snowboarding love affair began on street rails in Michigan. Now the 18-year-old American is at the top of the big event circuit and he dishes on TV schedules, style and tricks and more. Ryan Wallerson: You’ve been competing in a large variety of snowboarding tours and different contests since you were 13 years old, but you’ve been big on the film and edit side of snowboarding for a while now. You made your X Games and complete Air+Style tour debuts this year. Was 2015-16 your coming out season? Kyle Mack: I’ve had a couple good events. I did well at Shred Show last year and I’ve had consistent seconds and thirds and FIS World Championships, but participating in the complete Air+Style tour and X Games has definitely elevated my name. After L.A., I really noticed that people in the snowboarding community starting to know who I was. But I’ve been making video parts since I was seven, and people on that side of it know me. I remember the feeling when I first noticed that as well. This season has been similar. ​RW: Do you feel like too much attention is put on a select few events, overshadowing those events with less money and exposure? Is it unfair to only think of X Games, A+S and Dew Tour in a different class than the other competitions out there? KM: From a viewership standpoint, it’s definitely a bummer that the public doesn’t see all the contests, because they don’t get to see our come up. They don’t see the early stuff. X Games features the best riders in the world, but it takes years of consistent finishes to reach that point. 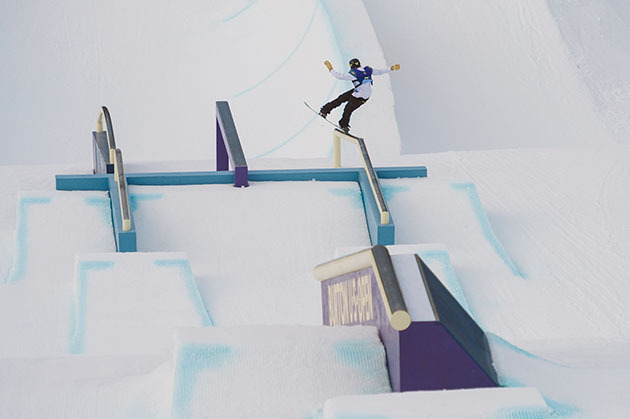 The competition level at all of the contests, X Games to Shred Show, is the same. So as a rider, it winning feels good no matter what, even if everybody doesn’t see it. So it’s yes and no. The events absolutely warrant the attention, but there is a bright side to less exposure. RW: What advantage is that? ​KM: At the smaller contests, there’s no TV schedule to have a say in what we do or how the contest is run. In the big contest like X Games, it can determine how things go down for us instead of the riders getting to express their opinions in what we want to do or what’s safest and fairest for all. In that sense, the TV can actually be one of the biggest problems with an event. RW: Do the blizzard-like conditions during the one-round 2016 X Games Aspen Men’s Superpipe final come to mind when you say that? KM: It’s not only that competition, it’s not only the X Games. But yeah, that’d be a good example. RW: Then do you feel that the more money and attention paid to an event, the less about the actual competition that event becomes? KM: Without a doubt. TV is all about slots; filling slots, keeping slots, no matter what. It doesn’t matter if it has been a terrible practice because of high winds. It doesn’t even matter if there are still high winds at the time of the competition. It’s just like “ok, time to go now.” But none of us got to practice. Their response is, “We don’t care. It’s for TV.” So that’s an issue. But, you’re still on TV. That’s tough to complain about. 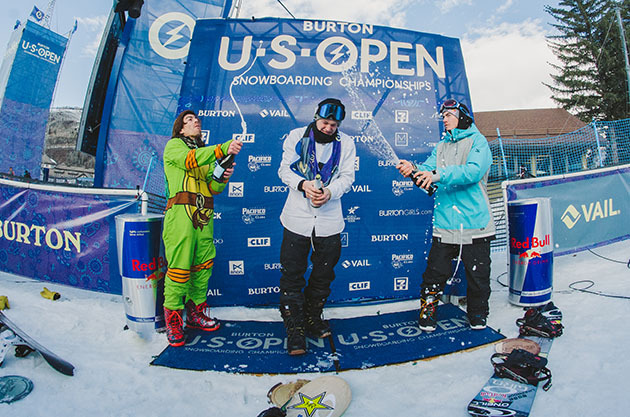 That’s why the Burton U.S. Open is the best. It’s a big competition to caters to the riders above all else. ​RW: With those restrictions in mind, from a personal standpoint, which season do you enjoy more? One of smaller events and filming or one with invitations to the biggest name events? KM: I’ve been chasing the tours this year, the Grand Prix, the Air+Style stops, both the X Games; it’s been a big season for me. It’s an honor to be invited to all the big events. But it’s definitely taken a big toll on me. It’s been a bummer, putting on show after show portrayed as a battle between riders. Back when I was just going up and riding smaller events, there were still schedules and still set times, but everyone was much more relaxed. This season has been a lot more stressful, a lot more timed. As a rider I prefer the smaller events where we have more say. But the big contests are what brings in the money and the sponsors that allow us to do these things. There’s an undeniable benefit there, but I’m going to say the smaller events, even with those things in mind. There’s just something empty about going down scaffolding big air jumps for a month straight, not being able to turn my board on an actual mountain. I got four days between Big Air Fenway and Air+Style L.A., but four days out of a month just isn’t enough snowboarding for a snowboarder. The scheduling and logistics of all these international events has been something else to get used to. It’s good that we are at the end of the season; I don’t think I can manage another 10-12 hour flight. RW: Let’s get away from the subject of events. Being new to the big event circuit, how do you view yourself as a rider compared to the rest of the big names in competition? KM: I’m a street rider originally, so I’m definitely all about stylistic and unique and different snowboarding. I know technicality is a big part of event riding and getting the best possible results, but the mark I want to leave on slopestyle is one that will be specific to me and no one else. 270 on 270 off, chucking Backside Triplecorks, getting robotic and repetitive, I’m definitely looking to avoid that track at all costs. My signature trick is a Backside Doublecork 1260 Japan Air because I love the Japan Air. I wasn’t the first to land it, but I feel like the one I do is mine. That’s important to me. That’s the way I want to develop tricks, complete with Japan, Mute, and Melon grabs. RW: As you got more involved in the film side of the industry, what attracted you to street snowboarding? KM: Growing up in Michigan, all we really had was a toe-rope and a ton of rails. So rail riding was always something I did because it was always available. When street snowboarding was in the X Games, it was dope. It was one of my favorite events. It was difficult to really see what the riders were doing back then because of the camera placement, but I was really pumped when I heard about X Games introducing the real street parts. Everyone put in great cuts. I’ve already gotten a chance to cast my votes. No spoilers here on who I voted for though. 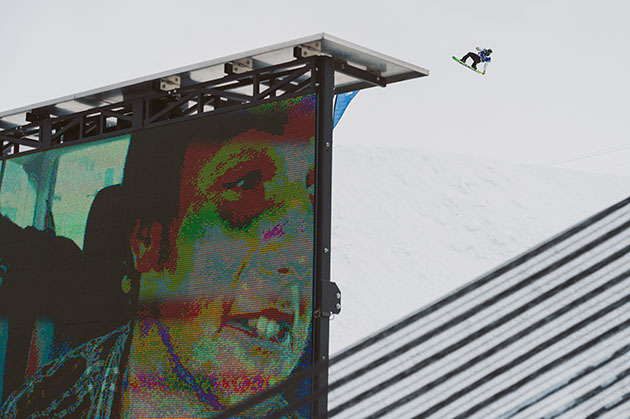 ​RW: As a street film rider, how cool is it for you personally to see X Games put a concerted effort into acknowledging that side of snowboarding? KM: It’s definitely a lot more unique because the riders get to express themselves however they want, wherever they want. The best thing about them is seeing how different all of the riders are. Everyone chooses what and how they hit, and no one hits it the same way. There are only so many ways to run a course, but it’s so cool to try and understand how each rider sees the streets they are hitting. It’s very cool to see street snowboarding, along with all the other real street sports, getting that respect from the X Games.